The Oracle eBS Server was available, so that couldn’t be the problem. Checking the logfile(s) showed that there was a ORA-01722 error involved. The question at this point is; Which query is throwing a ‘Invalid Number’-error. Thanks to Robin I got the idea to Sql Trace the Connection Pool which is being used for the Action Link. Via the generated Trace Files I was able to identify the problem – query. It turned out to be the query which constructs the Url to navigate to Oracle eBS. A quick check in SQL*Plus gave the same error. The problem is in the Cast functions and the NLS_NUMERIC_CHARACTERS-settings. ….. solved the problem in SQL*Plus. 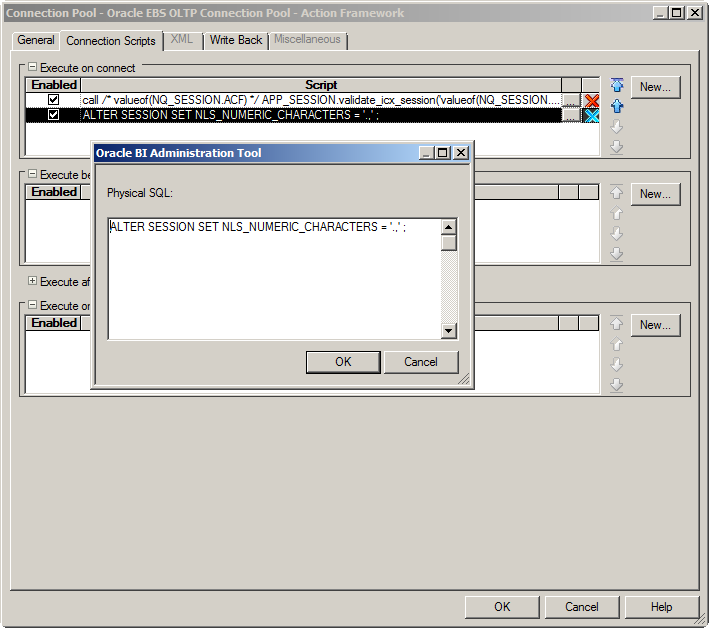 In Oracle BI, I added the ‘Alter Session’-Statement in the Connection Pool which is being used for the Action Link. You might want to check the quotes before the NULL. What if you replace the quotes with NULL also? 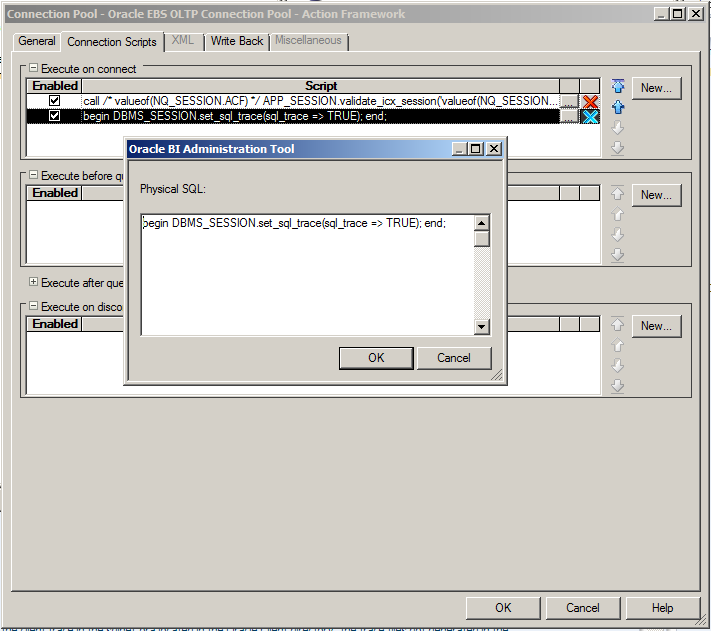 You can just enter the sql statement in SQL+ or SQL Developer. Did you also set the ‘Alter session’-statement? Please let me know if I missed anything here. I am facing the same above error. I followed your blog to fix the issue, still getting the same error. We are using OBIEE 12c. Are you able to perform the sql-trace? If so, what is the result of this sql-trace? Please guide us on this issue.